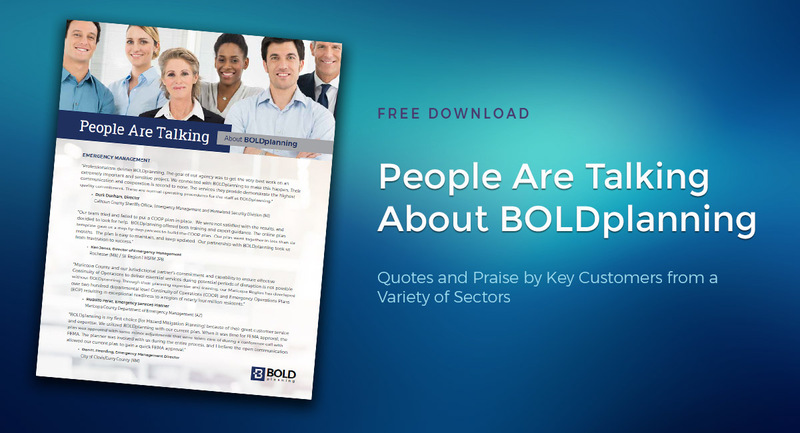 People Are Talking About BOLDplanning: Customer Quotes – BOLDplanning Inc.
BOLDplanning is the nation’s preeminent provider of preparedness consulting and software solutions. But don’t take our word for it. See the nice things customers have to say about their experience choosing BOLDplanning as their partner in preparedness.